I love bread. While we have been doing our no-sugar month (I did have one small treat on Christmas, because it was a gift from Adam, but otherwise I have been very good), I have made up for the sweet calories with loads of buttered toast. 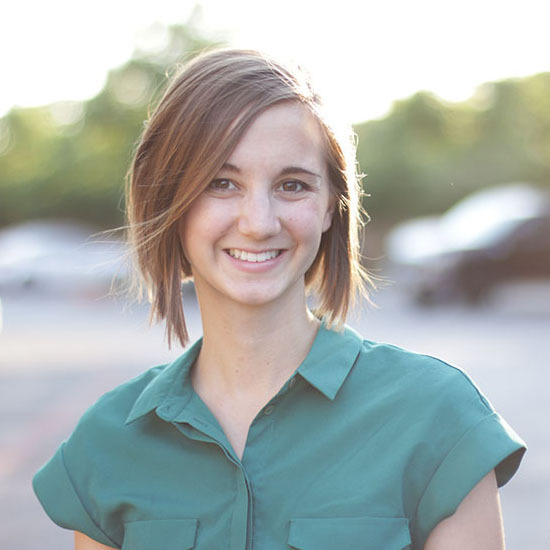 This recipe was a recent discovery that has made my heart sing. I ran out of white flour, but had a lot of wheat flour, and was trying to locate a decent 100% whole wheat flour recipe. 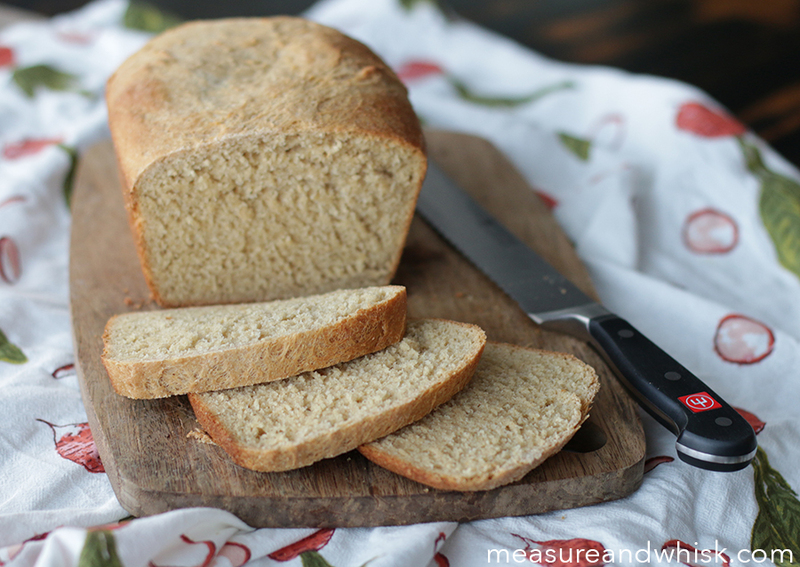 I stumbled upon this recipe, and was thrilled to discover it was just as good as any wheat loaf that I have ever had, and I didn't need multiple kinds of flour for it. 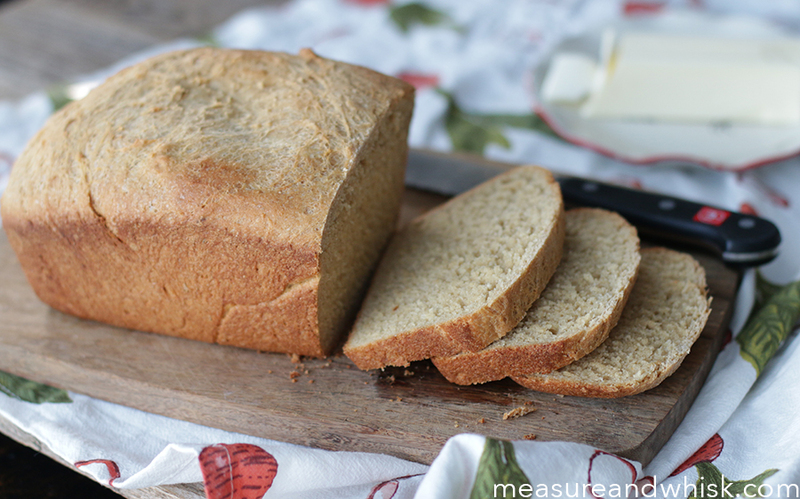 It is subtly sweet, very soft, and surprisingly light for a wheat bread. Also, it keeps in the refrigerator/freezer extremely well! Also, on a related note, a few months ago, Wüsthof sent me this incredible bread knife that basically changed my life. We have some decent knives, but this knife is about 40 cuts (pun intended) above anything else we have ever owned. 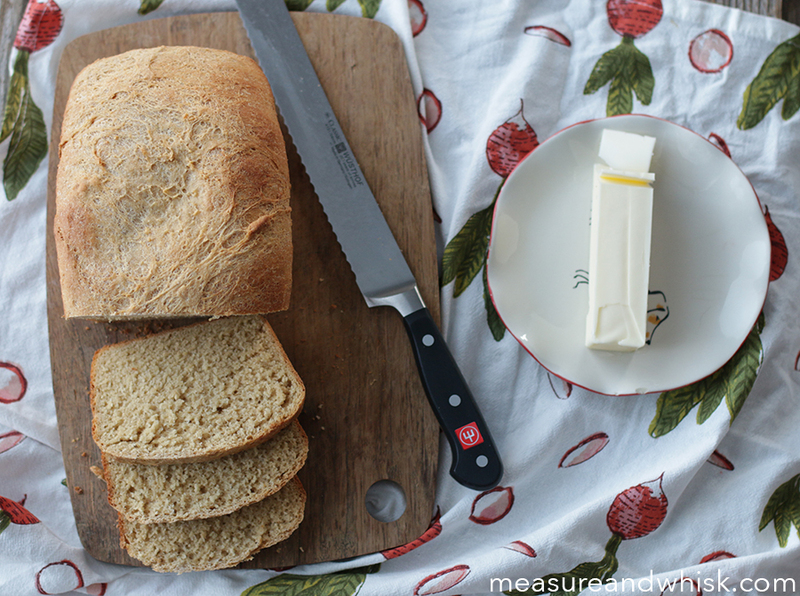 It slices like a dream, and makes me want to cut bread all day long. I am trying to buy more quality items these days, and this bread knife is the only one we will ever need. It is beautiful, so sharp and just an all around nice knife. 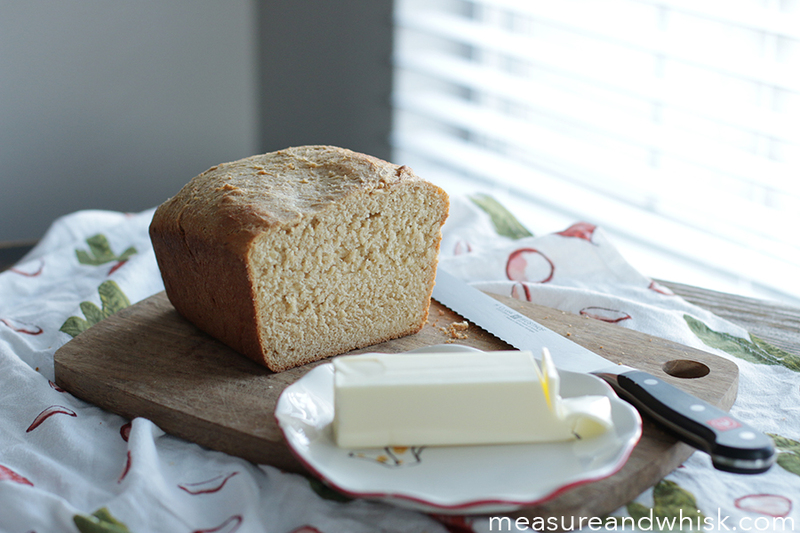 With the bread making craze going on at our house, it is used and appreciated often. If you are in the market for a new knife, this one is for you! 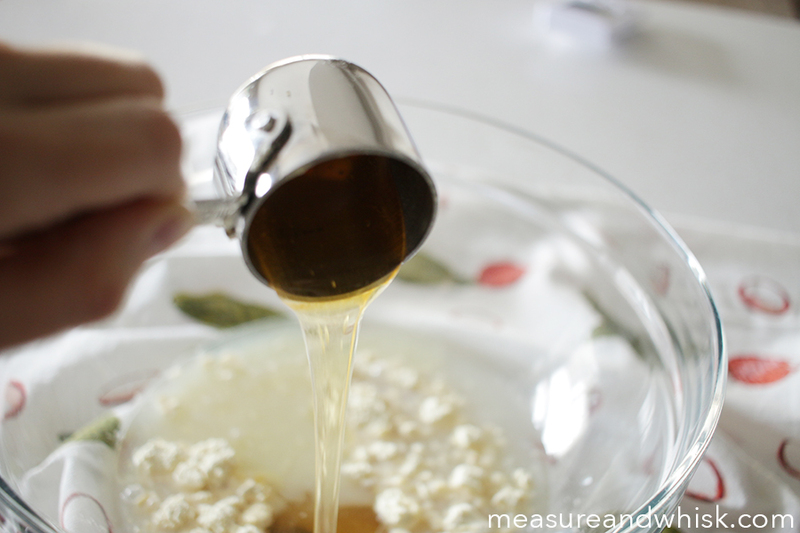 Put the yeast in a large bowl, and pour warm water and a small drizzle of honey over the top. Let it sit for ten minutes. Add the oil and briefly stir. 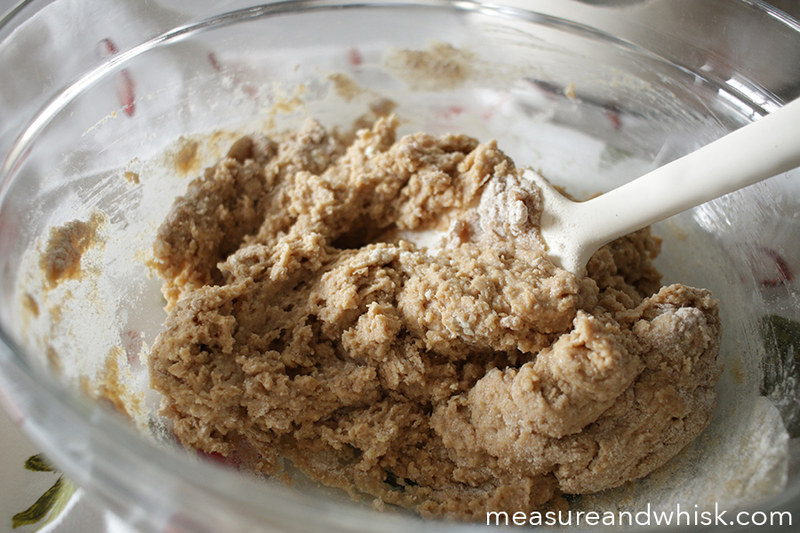 Add the flour and salt and stir until a shaggy dough begins to form. 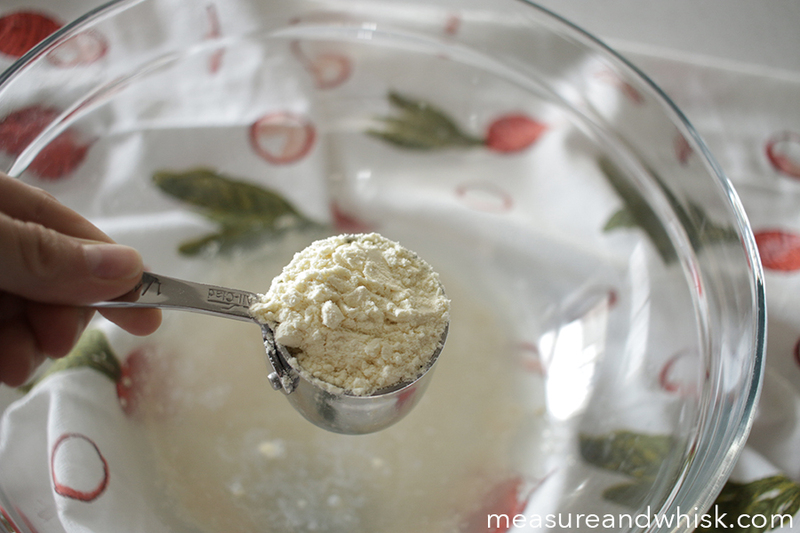 Knead for 3-5 minutes, adding flour as needed, until your dough is just past being sticky. Then put it in an oiled bowl, cover with a damp towel, and let it sit a warm spot until it has risen. 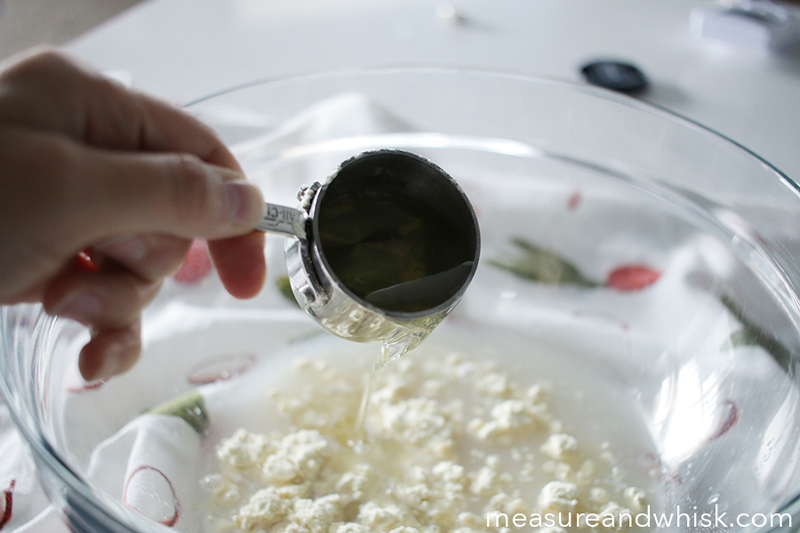 In a large bowl, combine the water, yeast, and a drizzle of honey. Briefly stir and let them sit for 10 minutes until the yeast is puffy. If it doesn't smell yeasty (that is ambiguous, but it is pretty obvious pretty quickly if your yeast is working, because it smells pretty strong) or get puffy, you probably need new yeast and will have to start over. Add the honey, oil, and buttermilk powder. Give it a stir. 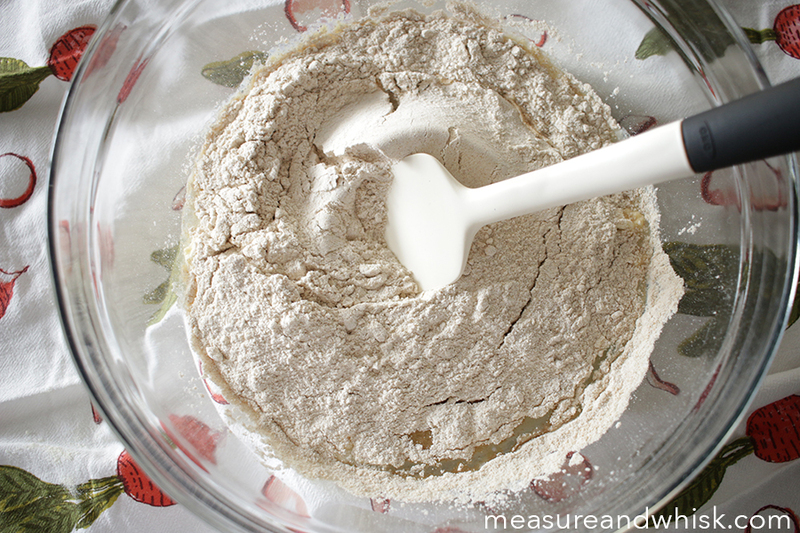 Add about two cups of the flour and the salt, and stir, and then add the rest of flour while kneading with your hands until the dough is no longer sticky. Grease a clean bowl (or not... I never do), and place the dough in the bottom. 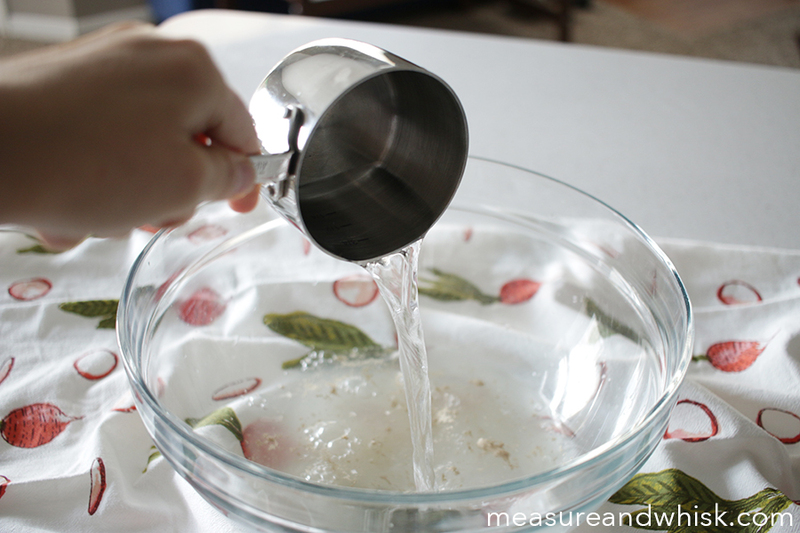 Cover with a damp towel or plastic wrap and let it rise until it is doubled in size. This is really important. If you don't let it rise long enough, your loaf will be dense and won't rise well the second time. 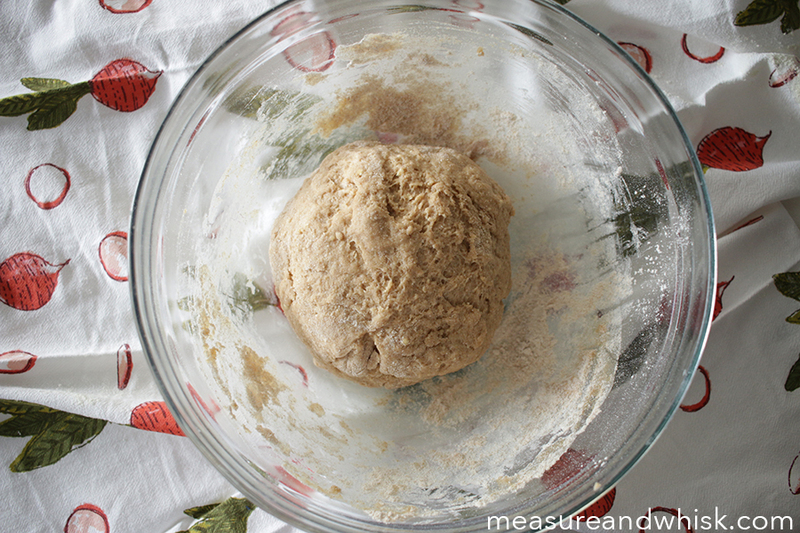 Once the dough is doubled, shape the dough into a loaf, and place it in a greased bread pan. Cover again with a damp towel (you may want to sprinkle the top of the loaf with a little flour to prevent sticking) and let it rise for about an hour to an hour and a half, or until the dough is starting to dome above the rim of the pan. In the last 20 minutes of your second rise, preheat your oven to 350°F. Remove your towel from the bread pan, then very gently place your bread in the oven for 35-40 minutes, tenting it with foil for the last 20 minutes of baking to keep it from getting too brown. Remove from the oven, let it cool for 10 minutes, then remove it from the loaf pan and move it to a cooling rack to cool another 20 minutes. Best eaten within the first 2 days, but you can freeze it for 1-2 months, or refrigerate for up to 5 days. I LOVE your radish dish towel too! !